My lovely nutritionist colleague obviously CARES about us and wants us to be in our BEST FORM! 😃 She has brought the team ORGANIC HOME-GROWN WALNUTS from her father’s garden! So why are walnuts great? Well for starters (pardon the food pun) they are rich sources of nutrients (compounds in food that are essential to life and health) such as poly-unsaturated fats, mono-unsaturated fats, proteins, fibre, B vitamins, manganese and zinc etc. Omega-3 tongue twisters, Eicosapentaenoic acid (EPA) and docosahexaenoic acid (DHA), are abundant in the cell membranes of brain cells. 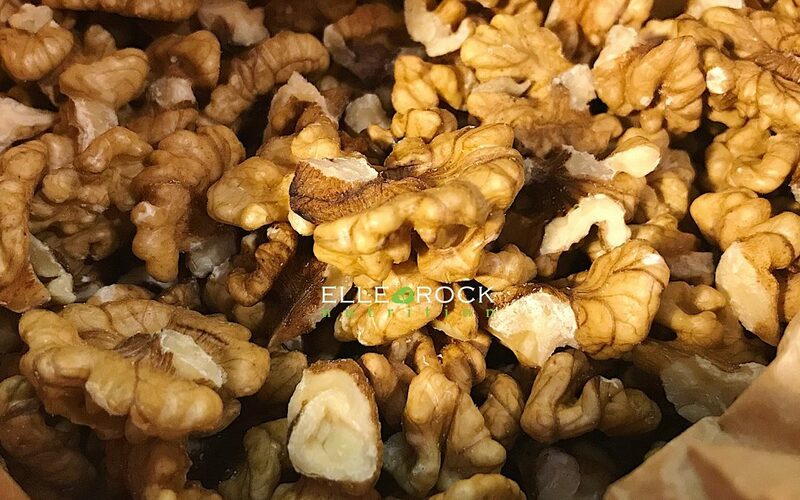 The body converts α‐linolenic acid (ALA), found in walnuts and other plant sources, into EPA and DHA. – retinal pathology (EYE DISEASES such as age-related macular degeneration). Coenzyme Q10 (CoQ10) is a substance that is naturally present in the human body and has important functions in, such as improving energy 💃🏾and supporting the IMMUNE SYSTEM. Very high concentrations of CoQ10 are in active organs that require a lot of ENERGY. CoQ10 is a powerful and natural ANTIOXIDANT. Antioxidants help protect us from cell-damaging free radicals. 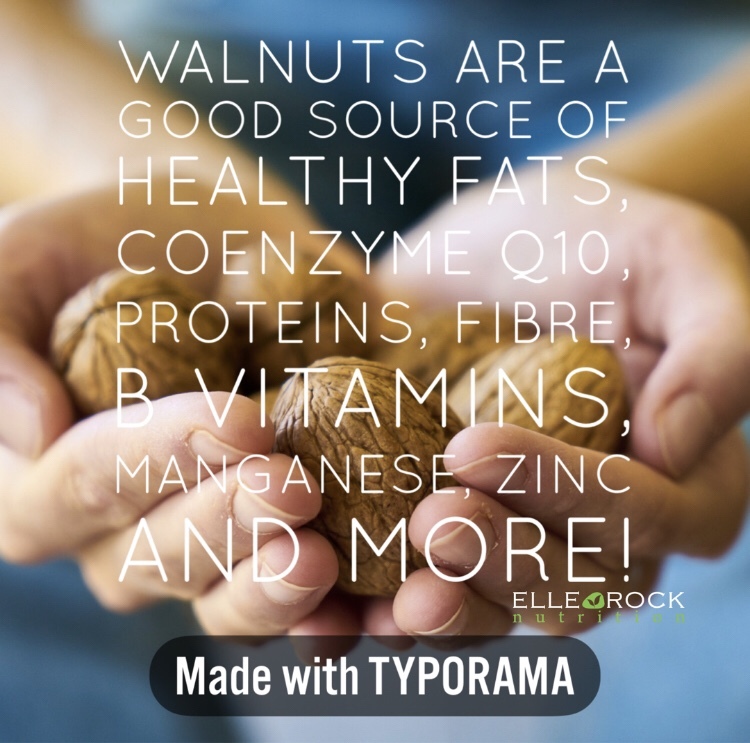 Have a handful of walnuts as a snack coupled with some fruit. Add walnuts to muesli, porridge or smoothies. Pair walnuts with goats’ cheese and salad for a crunchy nutrient dense dish.